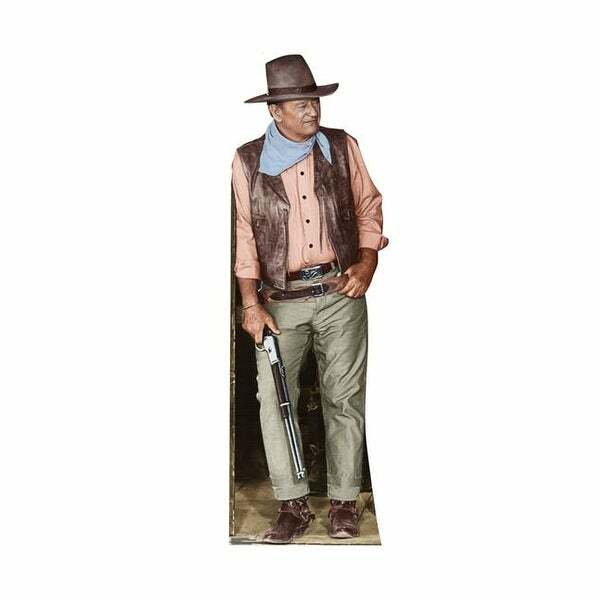 This Collector's Edition, lifesize cutout of John Wayne is the ultimate cutout for fans of this Hollywood legend! This product features a high quality print on durable paper-faced foamcore and has an easel on the back so it is free standing. Size: 75" x 24". Foamcore is a Premium: - More Durable/Longer Lasting - Vibrant Colors - Smoother Surface - Brighter Finish . Size: 75 x 24 in.